Meeting new people and networking can be fun and invigorating. I am still energized having recently returned from a conference. Like most attendees, I collected business cards and plan to connect again with my new contacts. In the past, it used to take me a lot of time to enter contacts into my phone, but not this time. 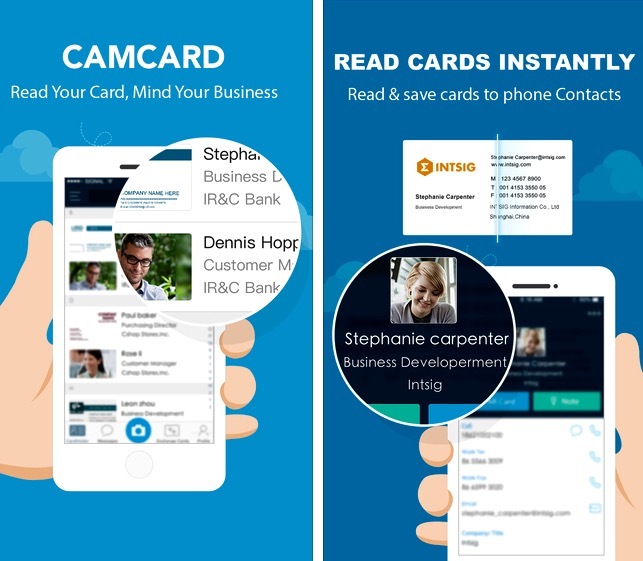 I leveraged a great app, CamCard, which allowed me to quickly scan (take photo with cell), save and exchange information IN SECONDS. I love the app not only because it kept me organized and saved me time in entering names, phone numbers and related information while at event, but also because the app reduces paper clutter. There’s no need to save business cards as the information is filed electronically. I believe you’ll like CamCard as much as I do given the time-saving features and benefits, without any cost. (Can read more on website HERE). Let me know what you think and if there’s other apps you use that make you more efficient in your busy life.